I was able to get my van fixed…. 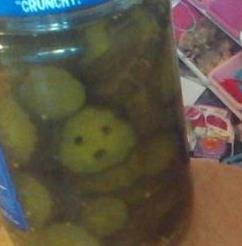 I happened to see a face in the pickle jar…. I figured the pickle is saying….Help Me !! !